I have this amazing friend who loves and supports everything I do. We are both passionate about yoga, so she was really excited when I told her I was signing up to become a yoga teacher. At the time I was incredibly interested in Restorative Yoga (and still am). 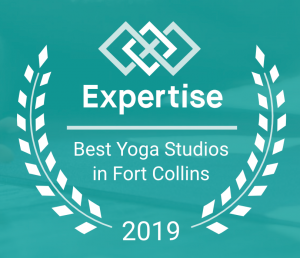 I was attending a lot of classes and even did a weekend long Restorative Yoga Teacher Training. 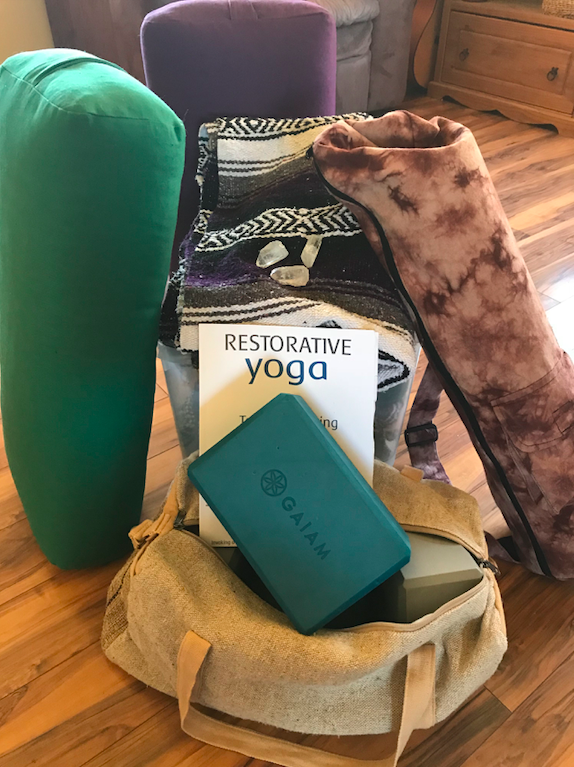 After that weekend I decided to go full on in the 200 hour training so I could teach my love of restorative yoga to others. 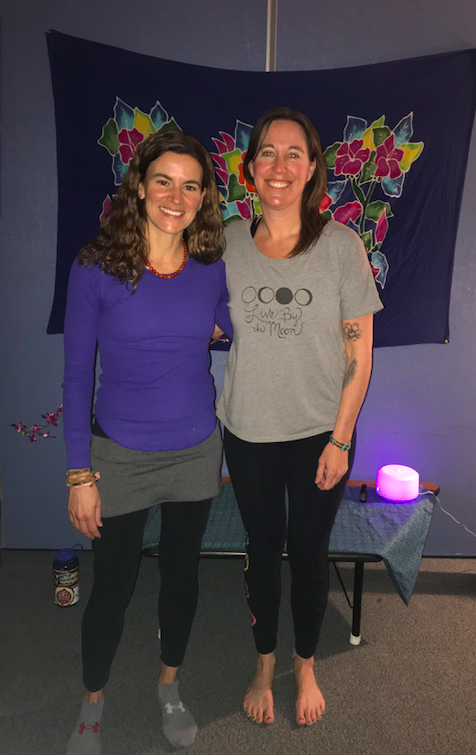 Now, back to my amazing friend….she was hosting a “spa” day for her fellow colleagues at a teacher in-service day and she asked me to come in and teach a restorative yoga class. At first I felt excited, then very nervous, but I knew it was something I had to do. This was it….the moment I had been waiting for! It was my turn to be on the flip side of a yoga class, my turn to set the mood, make the playlist, and create my very own sequence! But what was I going to say? I had been to enough classes that I had an idea of what I could say and do, but I wanted to make the practice authentically mine. That being said I had never taught before so I did rely on my memory of what other teachers had said in the past to help with transition, etc. I found an awesome quote (gosh I can’t remember the quote but it was something about self care), loaded my car full of props, and headed to the school. I found the room I was supposed to teach in and set the mood (also a favorite part of being a teacher). My friend and I decided to diffuse lavender, hang up a tapestry, and I got my playlist going. I was told there were 3 people who signed up for the class which was perfect! People started arriving and then more people, and more, until we had 10 attendees. Breathe! 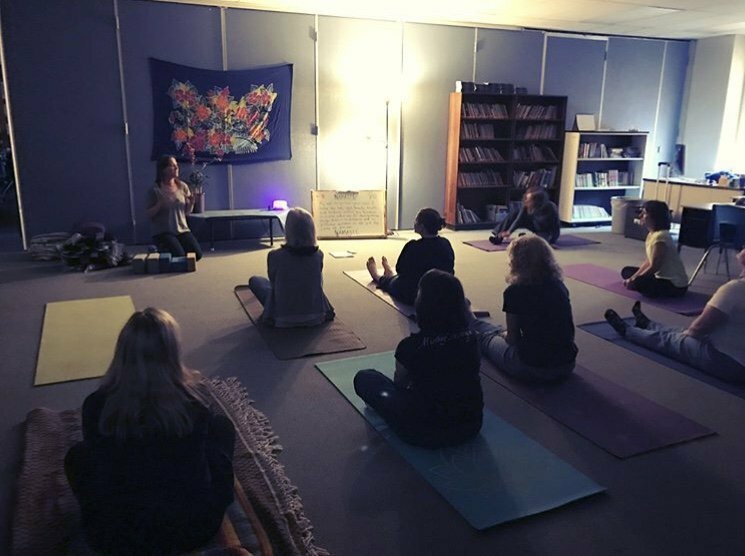 I introduced myself, talked about what restorative yoga was (most of the students had never done yoga before), and got started. Once I got started it was pure bliss. It was exactly what I wanted to be doing. 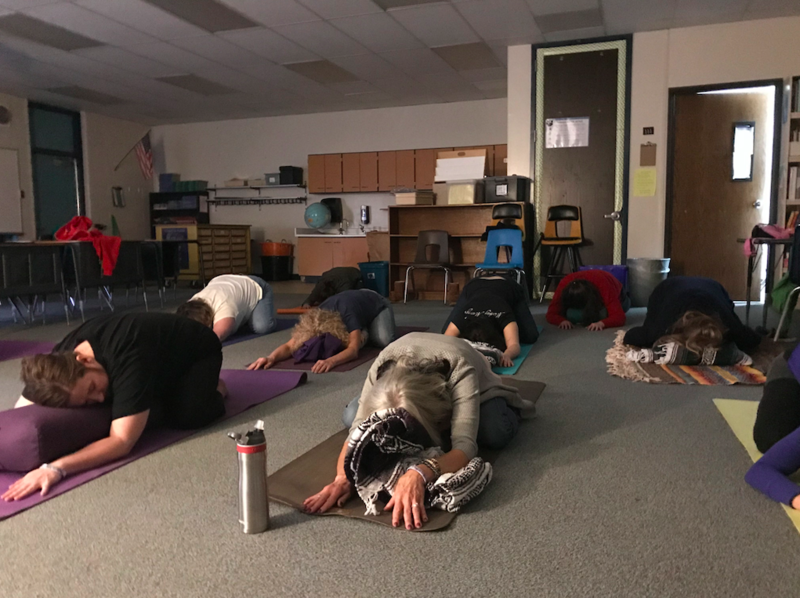 I was so excited to be sharing this with others…and especially teachers who are so very important, but can be overworked and underappreciated. When class was over I was overjoyed with the positive response. So much that they asked me to come back! This experience helped me to realize that I am on the right path and I am on this path for the right reasons. 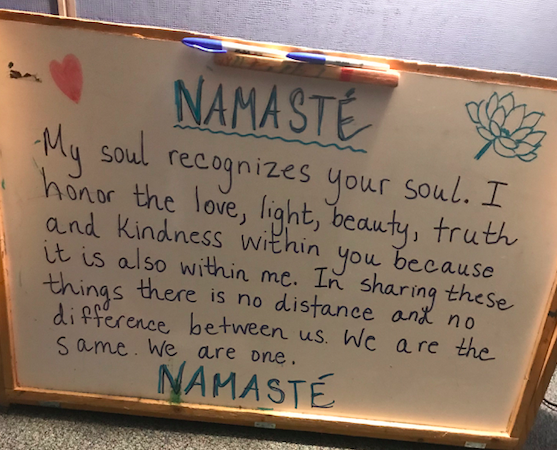 Sharing yoga with others in the hopes to affect people in a positive way is my dream…and I’m on my way to achieving it. I’m doing it because I have a strong desire to help others…I’m not concerned about the money or the notoriety…I truly just want to help. 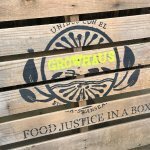 I’ve spent countless hours reading, researching, and attending yoga classes and it’s all leading me to where I need to be…serving my community in a beautiful way, helping others to live a more peaceful and fulfilling life, and hopefully doing my part to make the world a better place for all.